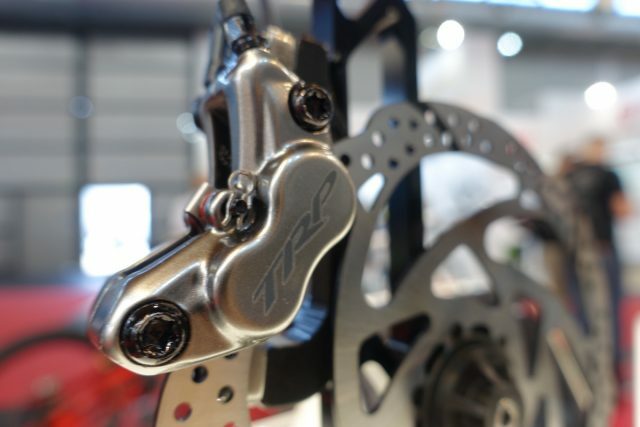 Tektro Racing Products, or TRP as they’re better known, produces high-end brakes for mountain bikes, road bikes and cyclocross bikes. 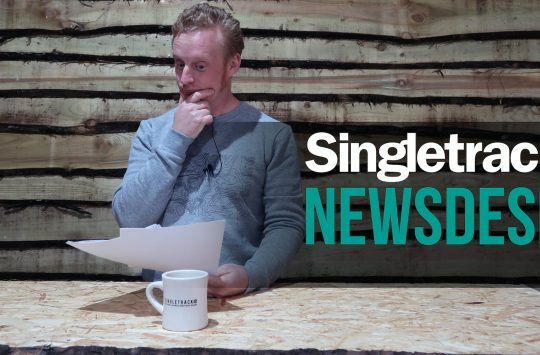 We don’t have masses of experience with TRP disc brakes at Singletrack Towers, though we have previously reviewed the Spyke mechanical disc brake, and our homies over at Grit have also reviewed the Spyre and Hylex disc brakes. 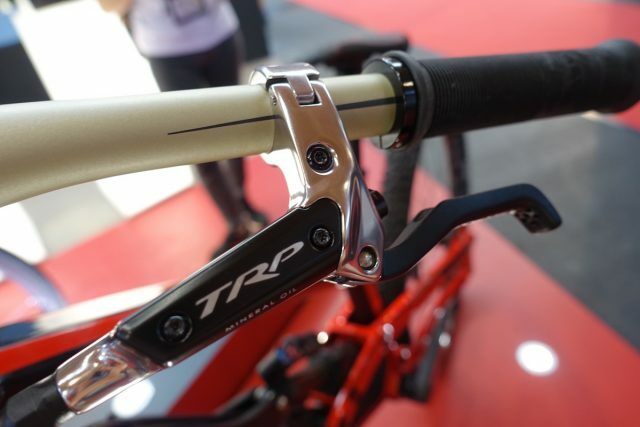 On the more trail side of things, TRP produces two models of interest to Singletrack readers: the trail-oriented Slate T4, and the gravity-oriented Quadiem SL. During Eurobike 2016, TRP were keen to show off a new version of the Quadiem SL brake, which they’ve been developing alongside Aaron Gwin, who came on board with TRP back in February of this year. 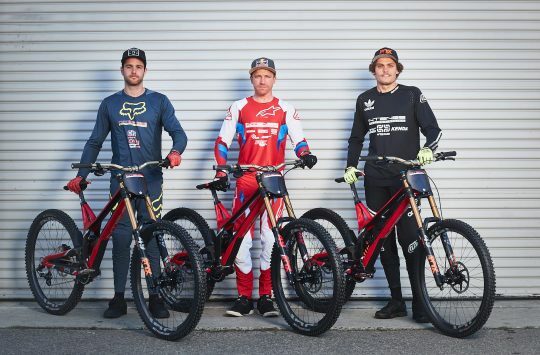 Throughout the World Cup season, YT Industries rider Aaron Gwin has been providing input for TRP on the Quadiem SL disc brake. 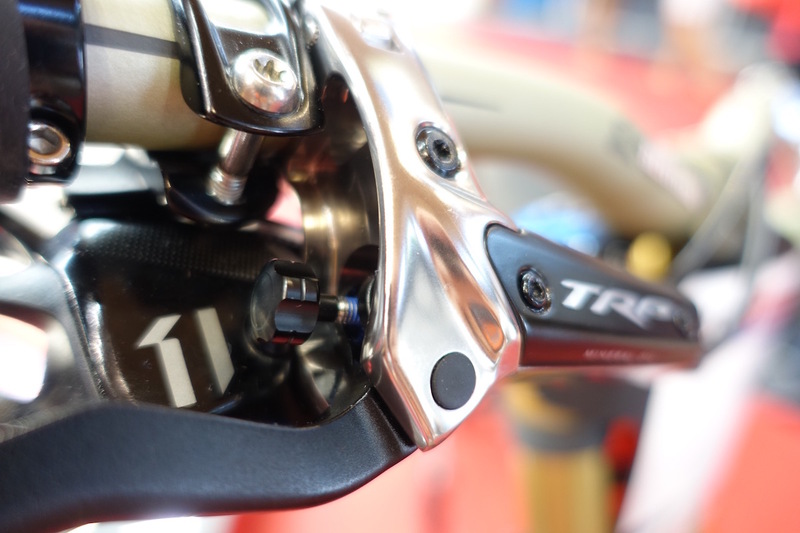 TRP has responded to Gwin’s requests, and have implemented some changes to the brake that will be available within the next six months. 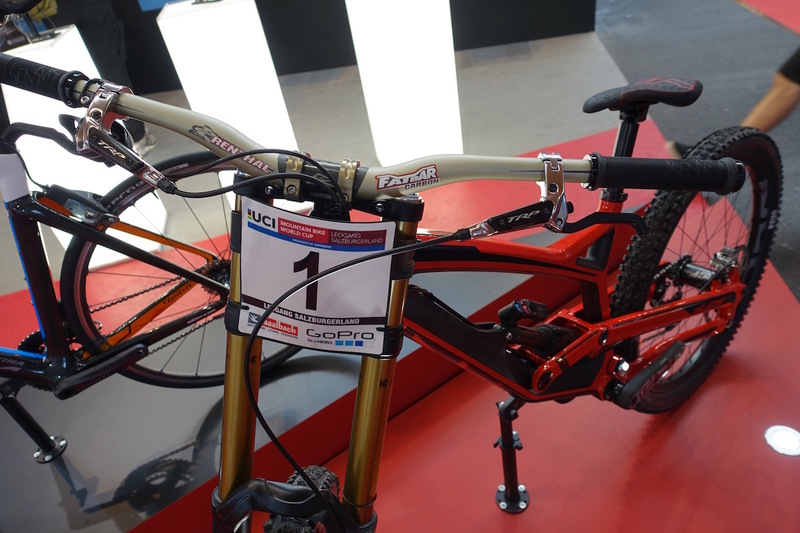 Fundamentally, the ‘Aaron Gwin Brakes’ are built around the TRP Quadiem SL. The calliper is a four-piston unit that uses ceramic pistons to minimise heat transfer from the rotor into the hydraulic brake fluid. In addition to the ceramic pistons, the new calliper is heavily machined to increase surface area for further heat dissipation. 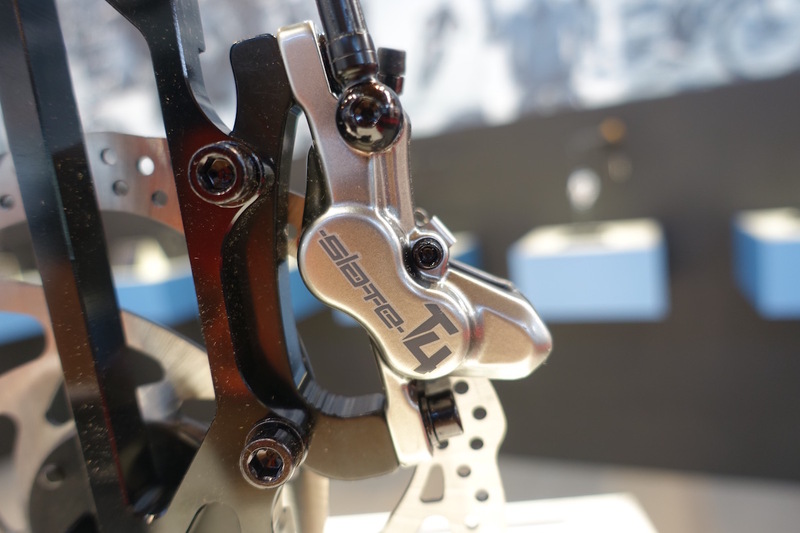 The standard Quadiem SL brakes use a semi-metallic compound, but TRP are still testing brake pads with Gwin to find the optimum compound for World Cup level downhill racing. 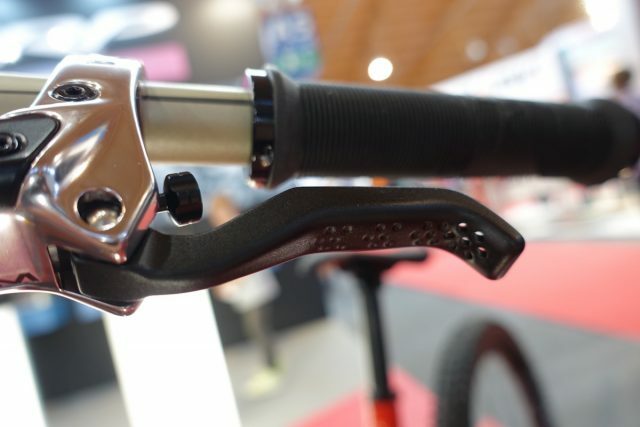 On the note of pads, the new calliper features tighter tolerances to keep the pad nice and snug, which avoids the movement you can sometimes feel when you’re on the brake and rocking the bike back and fourth. So that’s nice. The master cylinder appears to be much the same as the current Quadiem SL, with a large mineral oil reservoir and a hinged clamp for easy mounting and removal. As for the guts? There was no confirmation from TRP if there were any internal changes. One thing that is different however, is the lever blade. Gwin wanted the same dimpled lever found on the Slate T4 disc brake, so TRP took the design and modified it to fit the Quadiem SL lever body. The lever is marginally shorter, and it has a little more of a hook on the end. 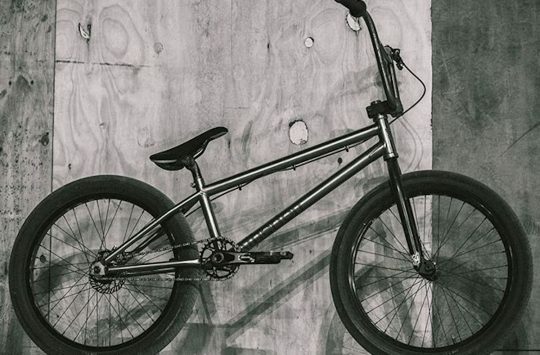 Behind the brake lever body is a tools-free reach adjuster, which features pronounced ‘clicks’ to announce when you’ve made an adjustment. Oh and it’s worth noting that if you like the look of Gwin’s levers, you can now buy the same levers to fit your own Quadiem SL brakes. Here’s what the original lever looks like on the Slate T4 brake. Dimpled for your fingertip pleasure. 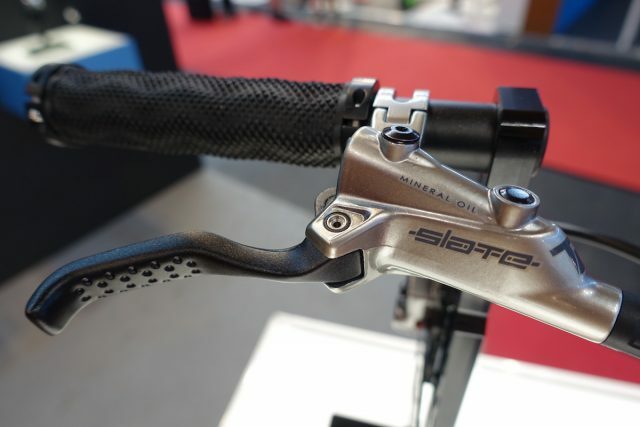 Interesting to note is that the Slate T4 is I-Spec compatible for riders who are running Shimano mountain bike trigger shifters. It also has a hinged mount like the Quadiem SL, but you will need an allen key to adjust the lever reach. Compared to the Quadiem SL, the Slate T4 is a little more stripped back in both its shape and its overall power. 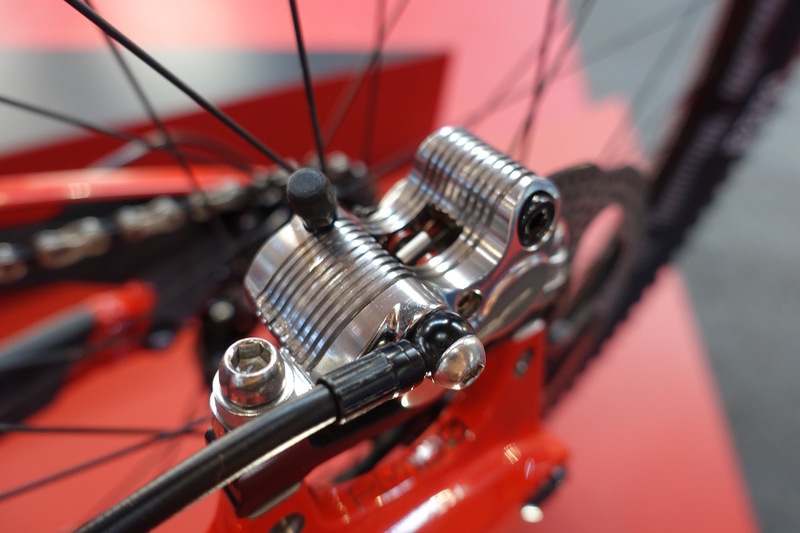 It’s designed for XC, trail and all mountain riding, and at a claimed weight of 270 grams, it comes in over 100 grams lighter for the pair compared to the Quadiem SL. That means the Slate T4 comes in about the same weight as a Shimano Deore XT disc brake. However, it still comes packed with four-piston power. 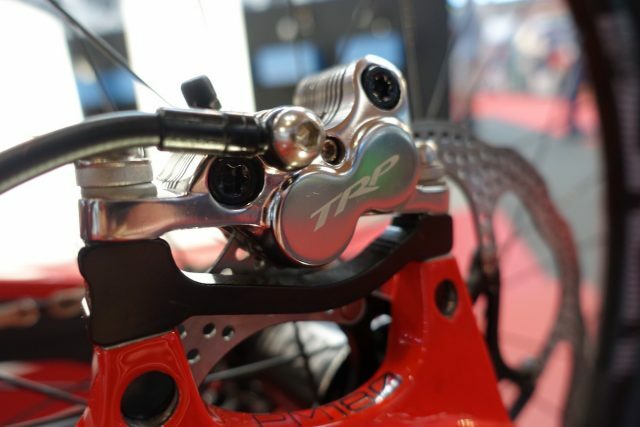 In a similar vein to the SRAM Guide brakes, TRP claim the Slate T4 delivers plenty of modulation thanks to its four-piston brake calliper. Pad compound is semi-metallic, and the Slate T4’s can be paired up with TRP’s own stainless steel or two-piece rotors.